Two of the most common effects used by acoustic guitarists are chorus and volume control. 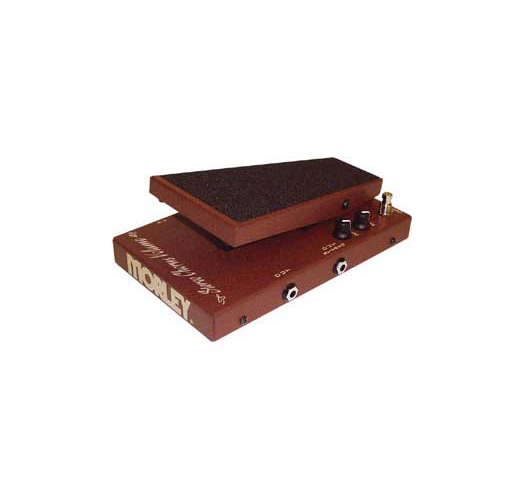 Morley combines both effects in one handy pedal. Designed for acoustic players, it is engineered to also work with electric guitar and bass. You can use the chorus separately, volume separately, or both effects together. Volume control is electro-optical (no more scratchy pots!) and the chorus is equipped with depth and rate controls and has dual outputs to achieve that extra wide spatial effect when using two amps. The SCV is housed in a cold rolled steel chassis for years of use and abuse. Equipped with dual LED indication (power and chorus on/off), powers from one 9V battery or optional Morley adapter.